Those results come from a survey done on behalf of the University of Phoenix College of Education. 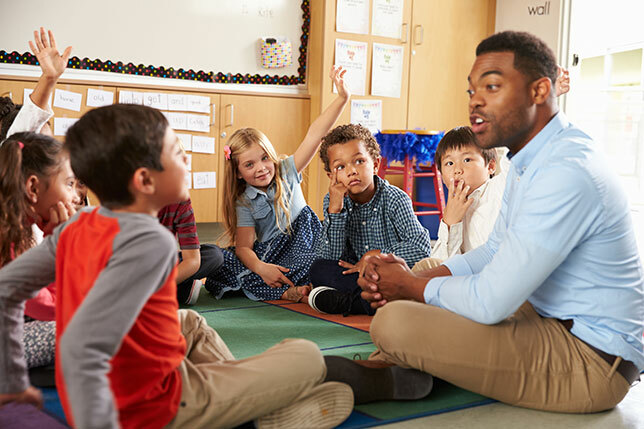 The Harris Poll surveyed 1,001 U.S. residents who are employed full-time as teachers in grades K-12 and who possess an undergraduate degree at a minimum. What those career changers bring into their instructional practices are "real world" applications, according to 64 percent of respondents, "fresh ideas" (48 percent), more teacher diversity (46 percent) and unique teaching styles and perspectives (42 percent). What career changers struggle with the most as they settle into the job is classroom management, cited by 74 percent of teachers. More than half of the survey participants (52 percent) said the transition would be easier for those teachers if they were able to "audit or shadow" other teachers. Two in five teachers (41 percent) reported at least one unfilled teaching position in their schools; the average number of unfilled positions was 2.8. They said their schools are coping by running larger class sizes (39 percent), even as they experience high turnover rates (32 percent) and more teaching "toward the middle" (23 percent). In spite of studies examining teacher attrition across the country, nine in 10 educators (93 percent) told pollsters they were "satisfied" with their career choice. Two-thirds (66 percent) would recommend the profession to others. That count rises to 77 percent among teachers who joined the profession in the last decade. What gives them the most satisfaction is "making a difference in children's lives" (70 percent), seeing students grow (68 percent) and enjoying the amount of variety that exists in the profession (36 percent). The same number said teacher preparation and continuing education aligned with classroom dynamics would be useful. In a related question, nearly three-quarters of survey participants (73 percent) said boosts in salaries and compensation would help attract more qualified teachers to the field. "As we continue to face the reality of the teacher shortage in our classrooms, it is critical that we examine the reasons for the shortage and ensure we all are doing what we can to empower our educators for success in their profession," said Pamela Roggeman, academic dean for U Phoenix's College of Education, in a prepared statement. "Attracting high-quality, passionate candidates with diverse skillsets and then providing resources and support for them within our schools is vital to the success of our students and future workforce." The survey results are available on the U Phoenix website here.